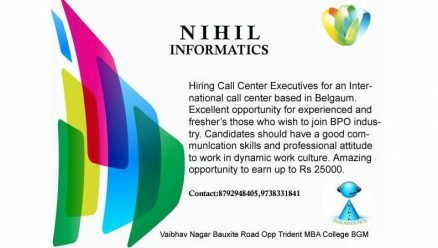 Hiring Call Center Executives for an International Call Center based in Belgaum. Excellent Opportunity for experienced and fresher’s who wish to join BPO industry. Candidates should have good communication skills and professional attitude to work in dynamic work culture.